YPC lecturers and staff at the durian party yesterday. 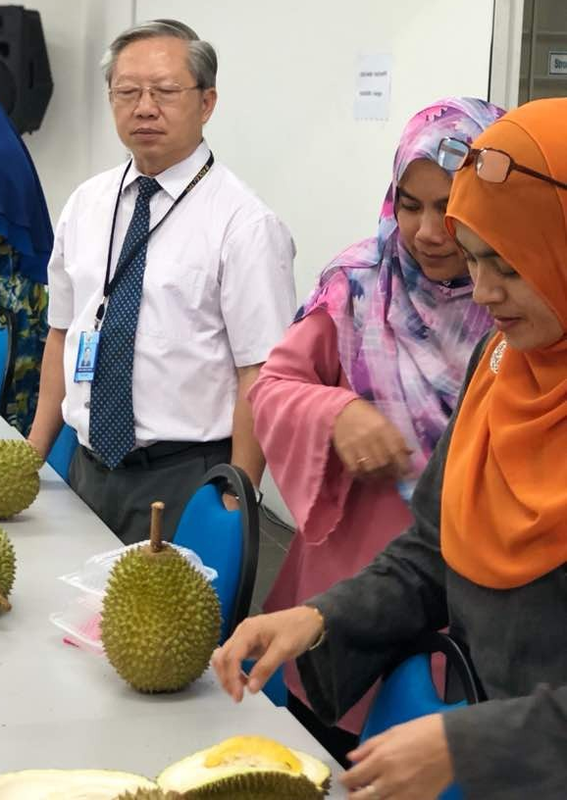 KUALA LUMPUR: About 80 lecturers and staff have enjoyed eating durians or best known as the “King of Fruits” at a party held at YPC International College here yesterday (July 25). Sponsored by YPC in appreciation of their hard work and dedication, the durian lovers ate their favourite smooth, buttery fruit to their hearts’ content, despite of its strong smell and spiky thorns. 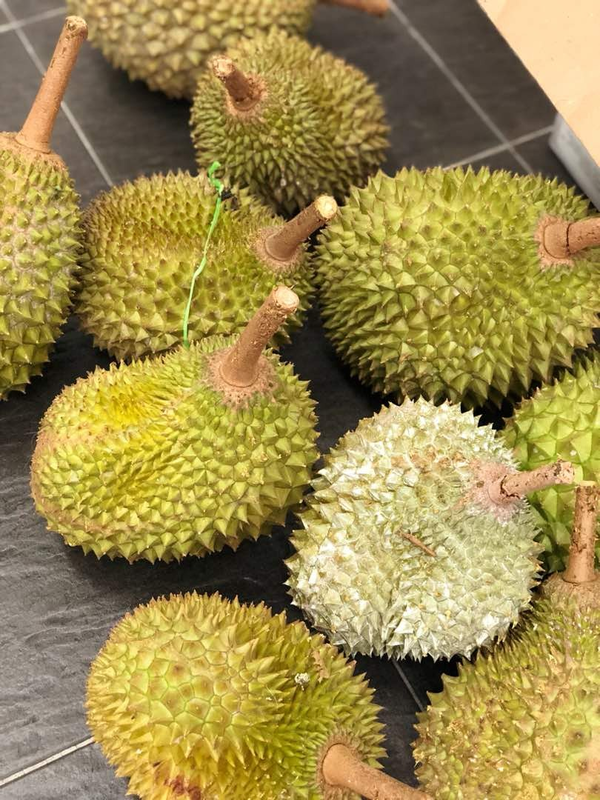 YPC Principal, Datuk Dr.Noel Robert who sponsored the durian party said, 100 kilograms of Musang King or the “King of Durians” were brought fresh from a farm in Raub, Pahang. 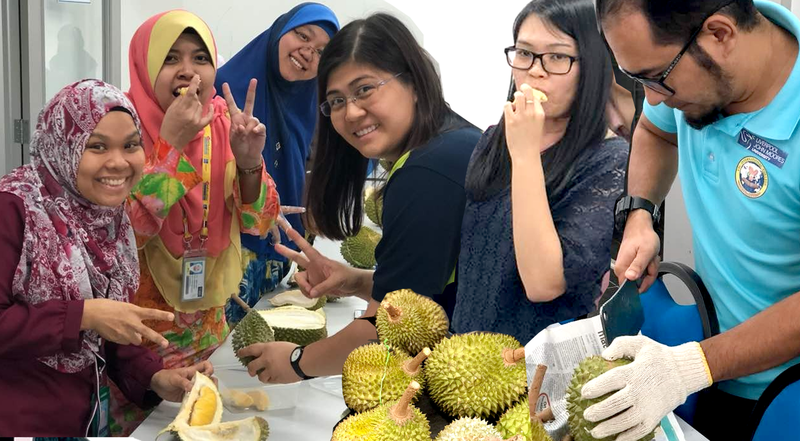 YPC lecturers and staff who attended the durian party were not only to enjoy the delicious delicacy, but to experience the Malaysian multi-cultural gathering. The eat-all-you-can durian buffet party, which started at 5pm and ended at 6pm, will definitely be an unforgettable experience for all durian fans. The lecturer and staff enjoyed this rare treat, and it was a soiree that everyone can remember. There’s no better way to enjoy the king of the fruit than with friends and colleagues, a YPC staff said. Now is the durian season. The weather is so good where Malaysians and tourists would not miss enjoying this delicious harvest fruits. In an interview with a senior lecturer, who is one of the durian fans, she said she ate three durians as the fruits were really delicious. “Durian is our typical Malaysian fruit that makes the locals and international people go crazy,” she said. “I really like durian, it is sweet and creamy but as you know it is sticky and smelly though,” other lecturer said jokingly. The organizer said it was not about eating the fruits, but it was more to enjoying the gathering as it became part our Malaysian culture. Another lecturer said that durian is a popular fruit in Malaysia, and it is served in families and friends’ gatherings and parties, just like the British serving tea in their parties. Durian has a strong connection with Malaysian culture and history. Due to its delicious taste and unique “smell” it entices durian fans to buy it very quickly before the thorny fruit goes bad. This year the price of durian has dropped as the harvest is good due to good weather. According to a staff here, this is the longest durian season in Malaysia. Malaysia is one of the dominant durian exporting countries in the world. It exports “The King of Fruits” to China, Singapore, and United States. This year prices are lower, just RM21- RM40 per kilogram (about $7.70 USD per kg, or $3.65 per pound) for even the upper tier varieties like Black Thorn and Red Prawn.